A couple weeks ago David Burgin (@ViddaGrubin) made a request of myself (@helltownbeer) and @hangthadj. Draft your five greatest / favorite players in NBA history. So we did. It was fun. David mused about these teams playing each other. Turns out it's possible to sim this competition within NBA2K19. Game in hand, I did just that by creating the teams we selected and dropping them into the 2018-19 NBA season. I wasn't exactly sure what to expect once I ran the simulation, but as the first few months passed -things became clear. 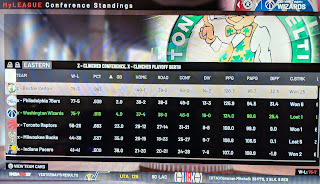 After loading up the rosters, I started the season in normal, modern conferences. 2K's simulation detail is legendary, so I thought I'd have to wrestle with the salary cap a bit to get it going but turns out it just let me blow past it. Which is good, because each of our teams did - by about $100 million dollars each. Past that, I pretty much left the player minute recommendations as the computer wanted, as well as who started. How did the teams start? Our teams completely dominated. 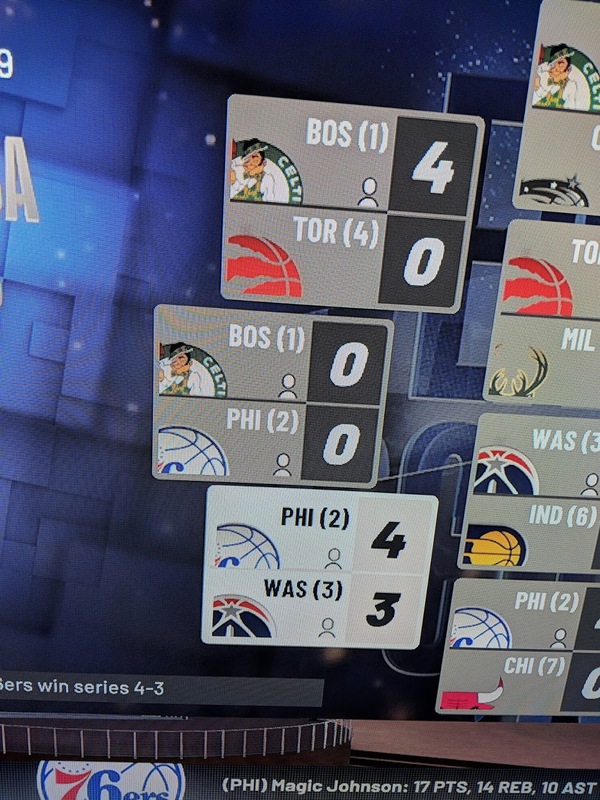 The only losses we had were when we (Celtics, 76ers, Wizards) played themselves (ourselves?). 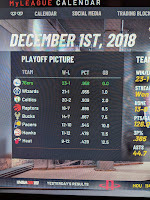 I knew the teams would be over the top good, but I figured the game would throw in an injury or two as the season went on to level things out. 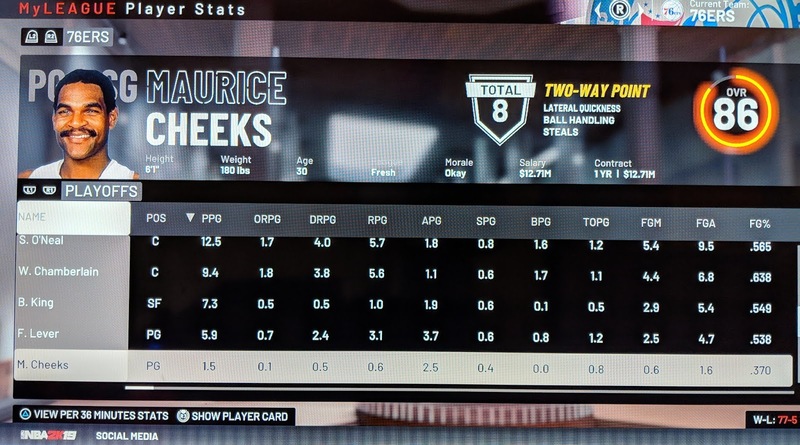 Outside of Mark Price getting an ankle for my team, the injury report was clear. At first, I was simulating by week, but as the first few months went on I could tell which was this was going. Every once in a while I'd pop into a live match and watch for fun. Other times I'd watch them from the live sim. This game is immense. 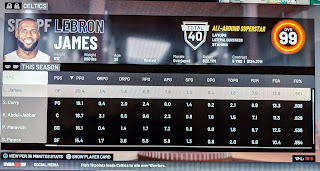 What struck me when popping in to check both basic and advanced statistics was how balanced each team was. Each starter was averaging in the teens to low 20s in points. 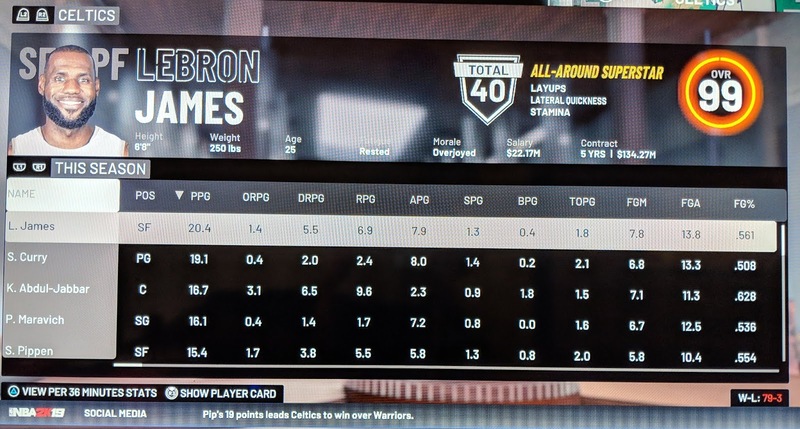 In fact, no started on either of our teams averaged over 20 points, save for a 25-year-old Lebron James (20.4 ppg). At this point, I still figured the other teams would hang around, and they were kinda. Toronto and the Bucks only had 7 losses, but the writing was on the wall for the rest of the East. It was going to be a season for the GREATS. December marks the real start of the NBA season so I drifted in on games more often. It was fun to watch players like Wilt and Moses Malone matching up against today's stars. More fun yet, was watching them dominate the other teams. Now that the season is over I realized that The Iceman led Wizards weren't going to cut it in the playoffs. 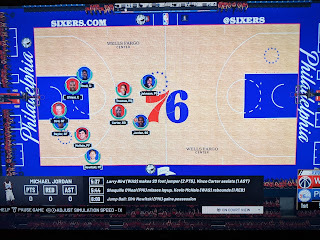 What surprised me was that the 76ers were led by a balanced Elgin Baylor 17.1 ppg and nearly 7 boards and 7 assists per game and not Jordan (16, 3 and 6). Oh, and then there was Magic. 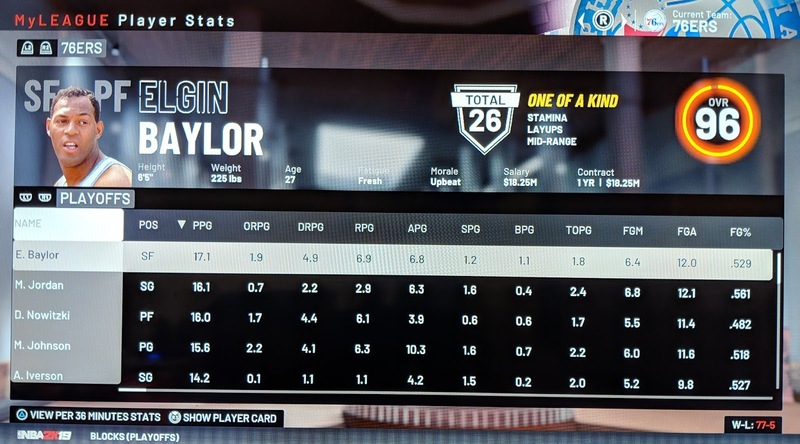 He wound up as the Regular Season MVP. The Celtics regular season was led by the 25 yo Lebron and a slightly younger-than-now Steph Curry. Modern players playing in a modern game. 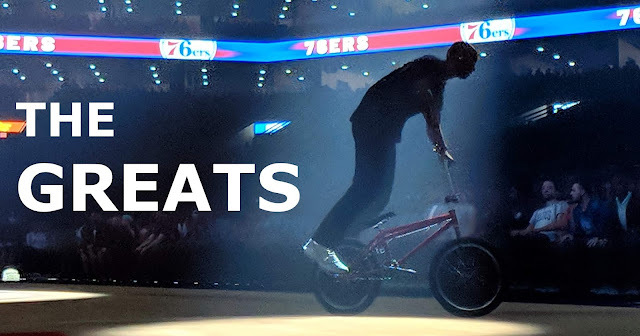 That said, Magic balanced it out and the talent gap between @ViddaGrubin's Celtics and @hangthadj's Sixers appeared to be fairly thin. 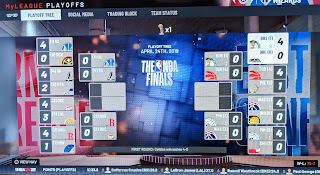 We are all in the Eastern Conference, so let's see which one of our teams are taking on (present day) Steph Curry and his Warriors or OR (present day) LeBron's Lakers in the Finals. 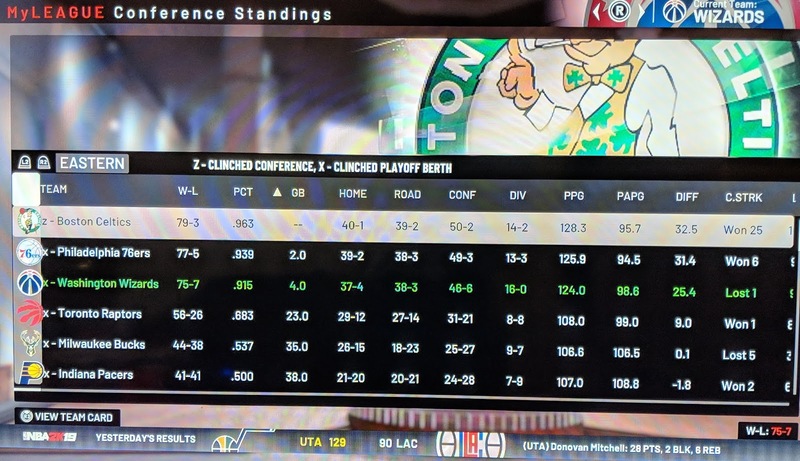 While in the playoffs I just took it one game at a time. The excitement of it all got to me and I wanted to walk through it. Turns out it wasn't needed. Each of our teams ran through the first round without a loss 12-0. 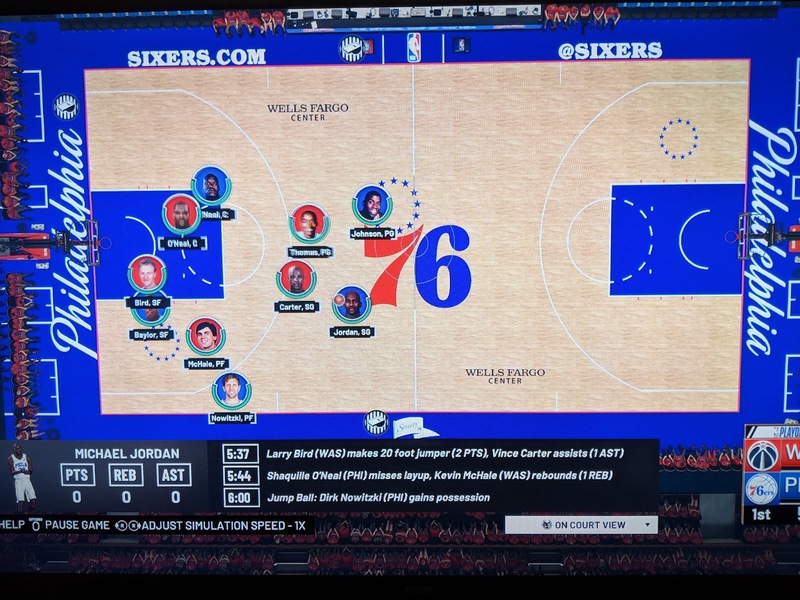 The second round saw me matched up with Hang's 76ers. I figured I had a shot, but it wasn't to be. 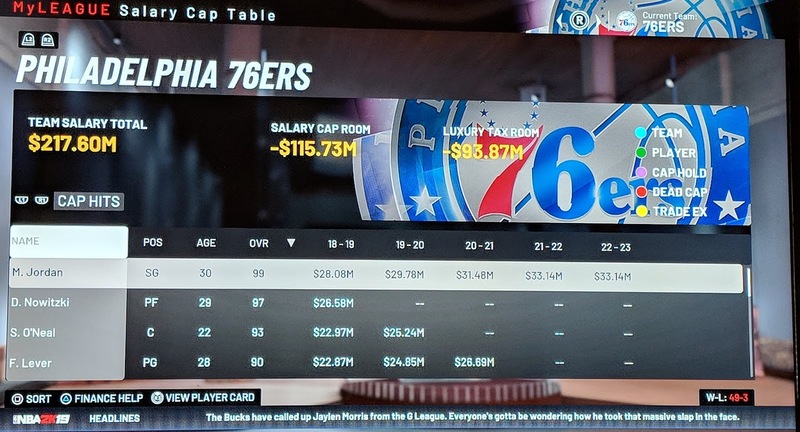 The Sixers ability to play without a true center was too much for my slow team. 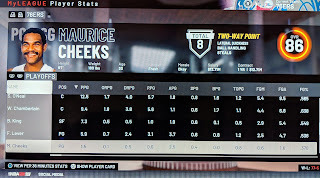 Nowitzki and Magic could match up with my Malone and (Orlando Magic era) O'Neal. It got worse for me off the bench because Hang had Laker's O'Neal to put in. 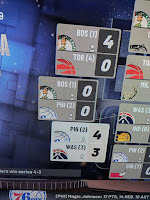 In the end, my Wizards put up a good fight by taking the series to 7 games. 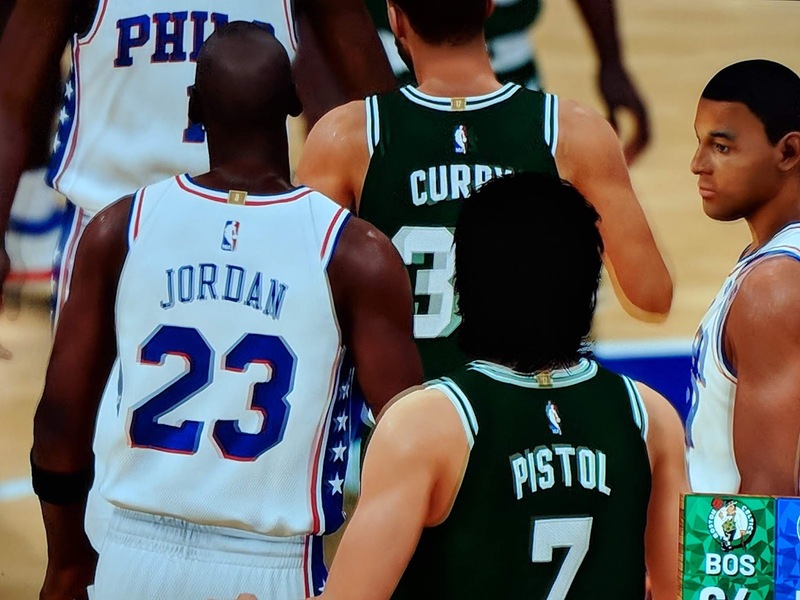 This result predictably set up a Celtics / Sixers Conf Final. Which means! This is the matchup we've been waiting for. The one to decide who had the best team out of our Twitter picks. Okay, David's Celtics won. 4 games to 2. 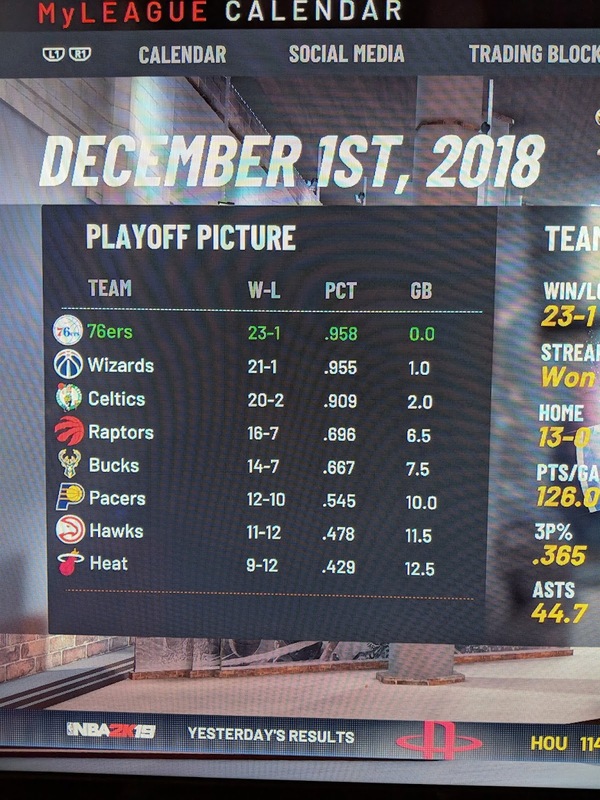 What ended up happening, at least in my opinion, is the 7 game series in the previous round broke Hang's 76ers. So, you're welcome David. 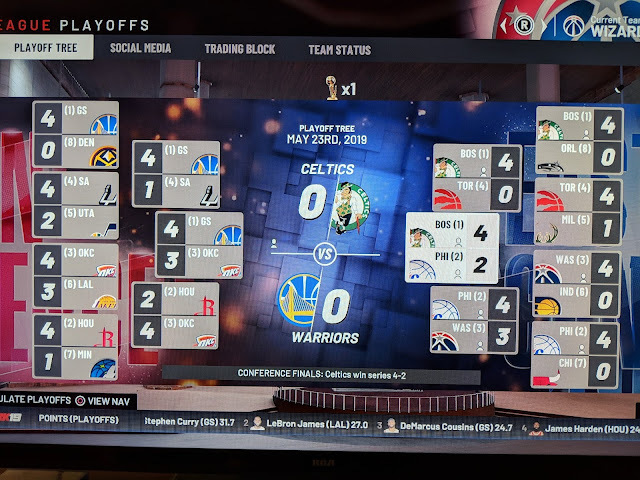 The Celtics went on to beat the Warriors in 4. This was fun, congrats David.